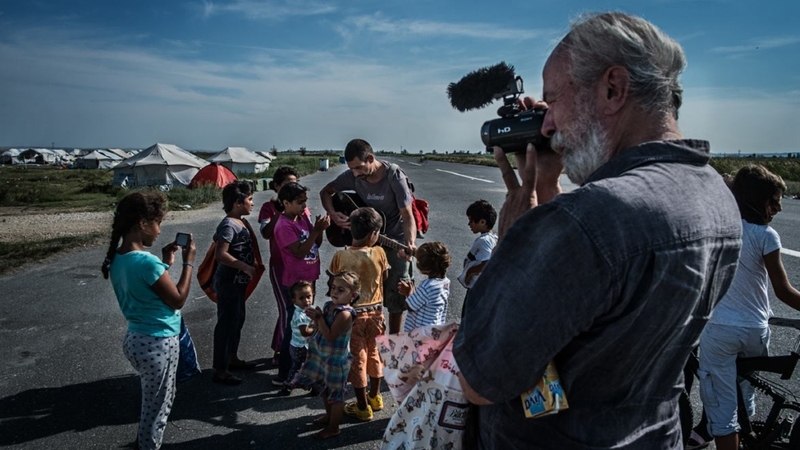 In August 2016, Graz director Heinz Trenczak visited three refugee camps together with private helpers and his camera: one at Šid (Serbia) and two near Thessaloniki (Greece). The group – Jenny Chapman, Wolfgang Feigl and Marian Nindler – had the goal to again support two families who had fled Syria, Jenny had previously looked after in Idomeni. In Thessaloniki, Clément Martz was already waiting for the team, a French photojournalist, who has developed from a fashion photographer to a committed image reporter focusing on flight and protection. Andreas Polegeg from Graz joined the group with his old motorhome. The documentary-essayistic road movie Greek Diary lets us get to know some of those seeking protection. We hear about reasons for flight and long passages, about the endless waiting for interviews and rulings, about families that still have to hold out in crisis areas, about the hope of integration and work. We also accompany the helpers as they assist the refugees with heart and brain, advice and action. Their volunteer work is often attacked or hindered, but they do not give up. Heinz Trenczak’s moving and thought-provoking Greek Diary is part of the long-term project „3400 Semmeln – Flüchtlinge. Helfer. Menschen.“.